Seven-year-old’s plan to raise £500 on sponsored bike ride snowballs on back of worldwide media coverage. 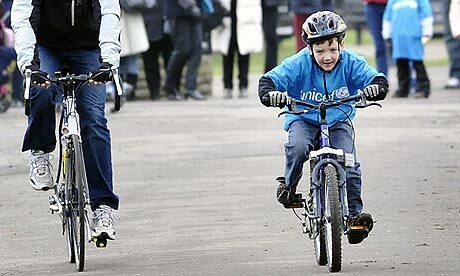 A seven-year-old boy who hoped to raise £500 for Haiti earthquake relief by cycling five miles around a local park has raised £120,000 in donations and gift aid, with the total still rising. Charlie Simpson’s efforts have touched the hearts of people around the world with visitors to his JustGiving website page piling on the pounds following his sponsored ride for the charity Unicef in Fulham, south London, yesterday.